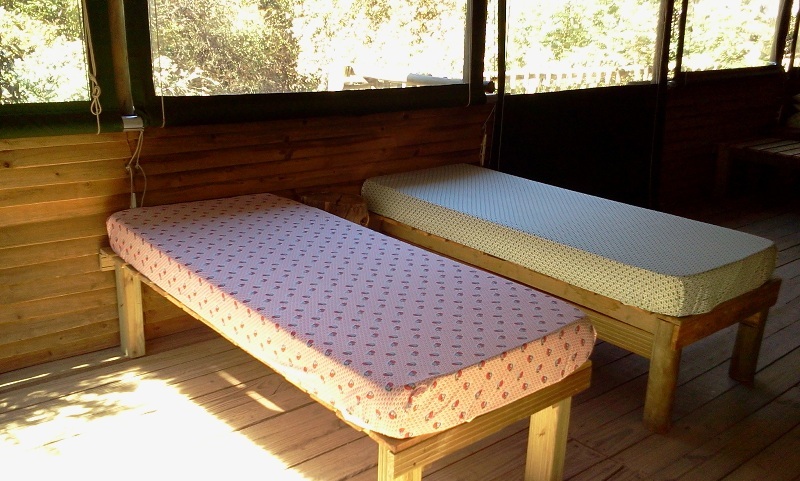 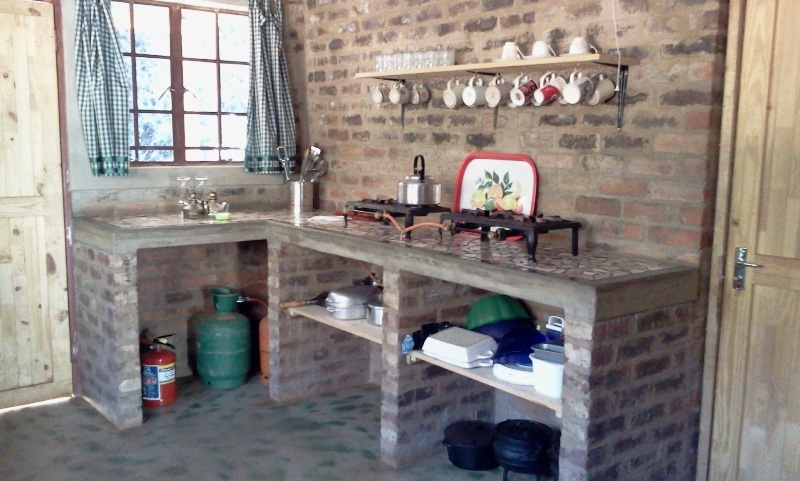 WATERBESSIE accommodating minimum 6 adults, maximum 12 people and minimum two nights is slightly different to the other camps as it has a fully equipped kitchen up to the egg whisk, four gas plates for cooking, two gas lamps and two battery operated lights. 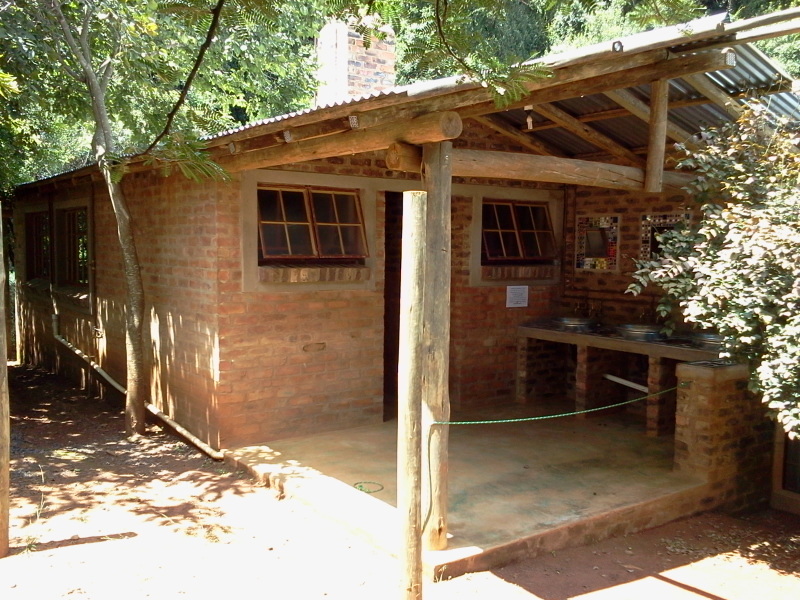 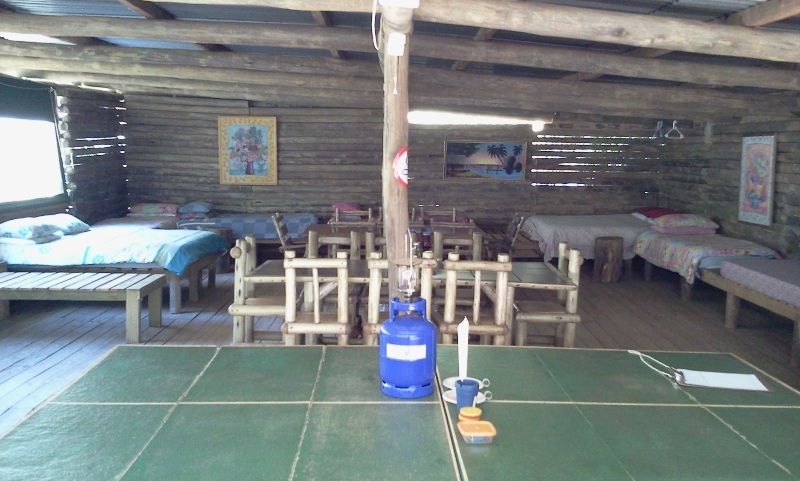 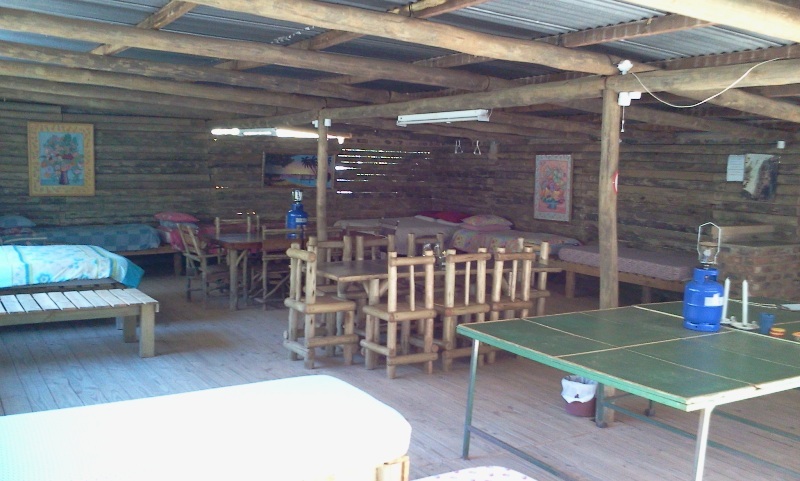 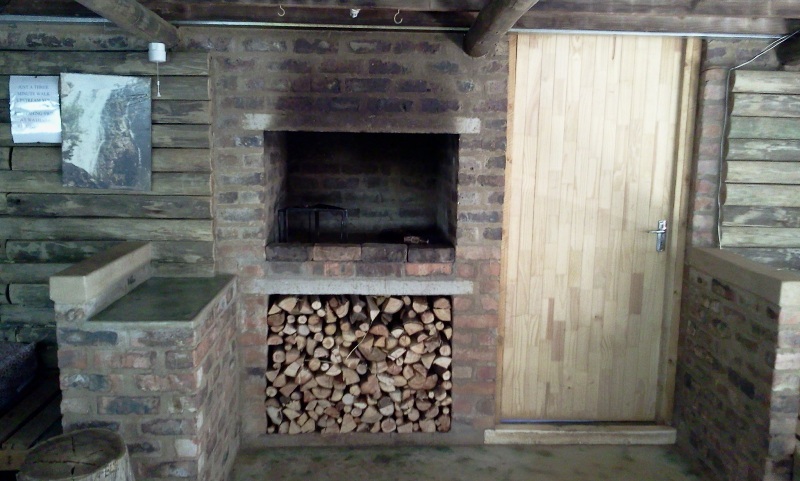 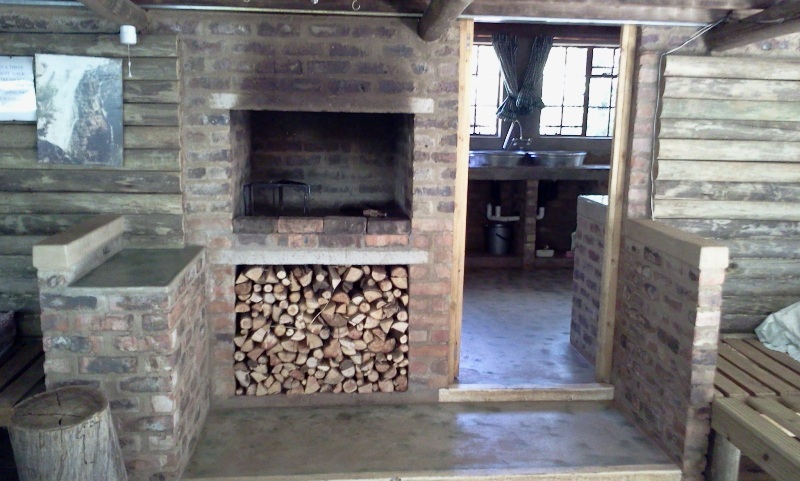 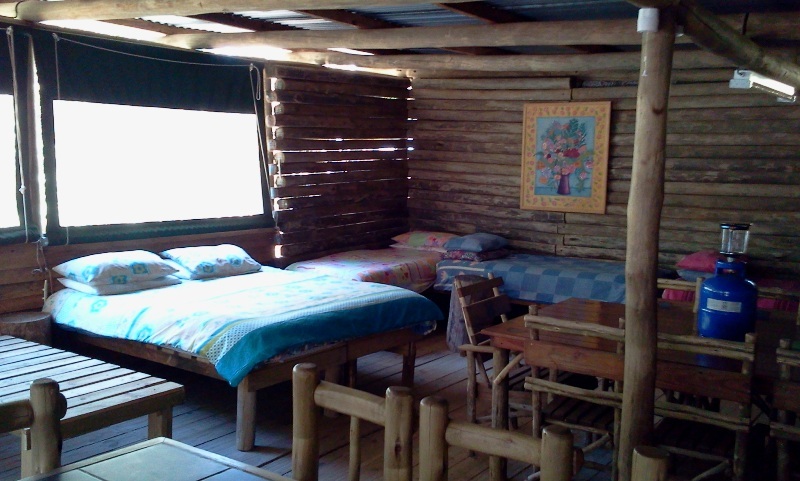 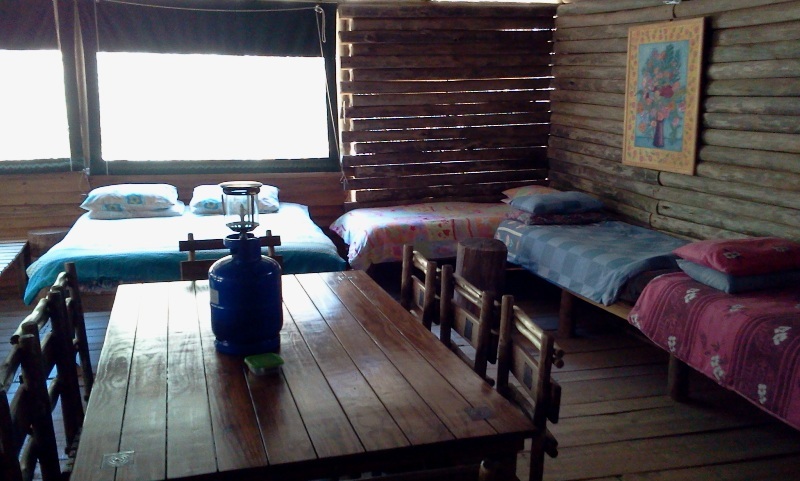 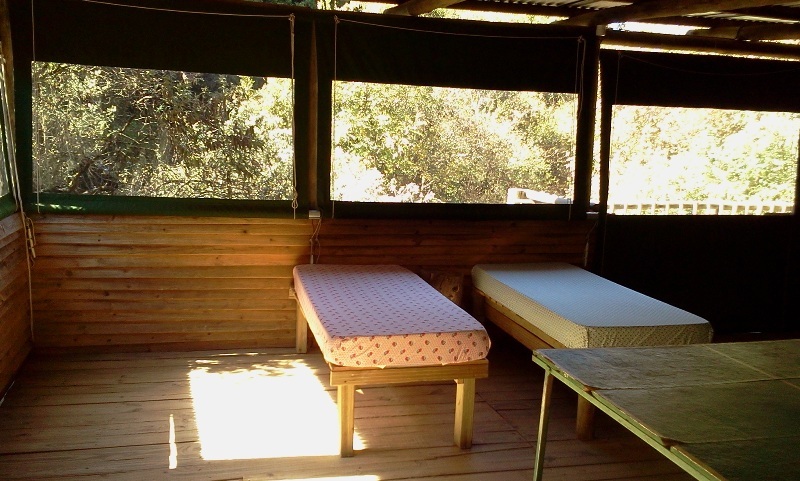 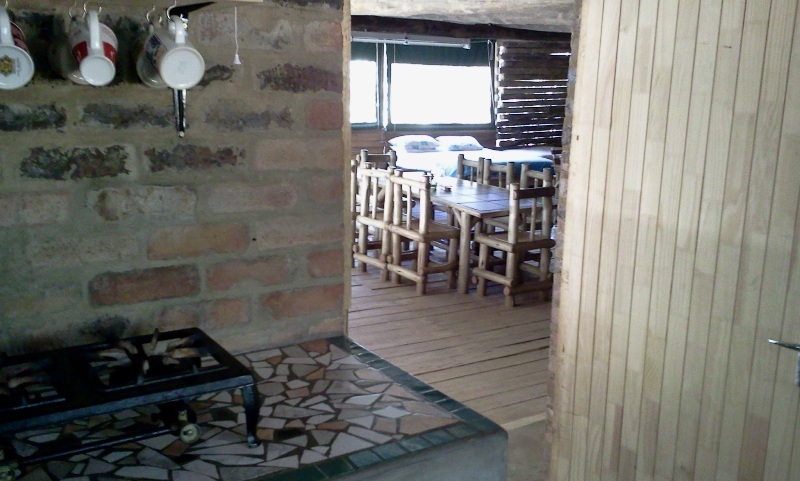 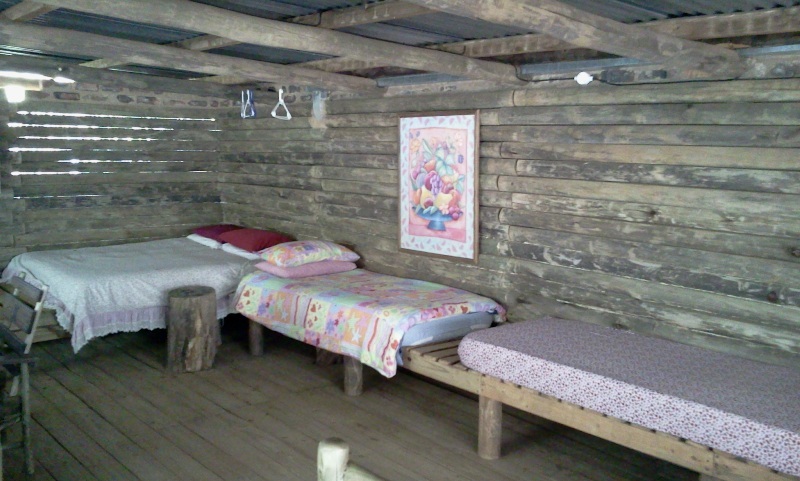 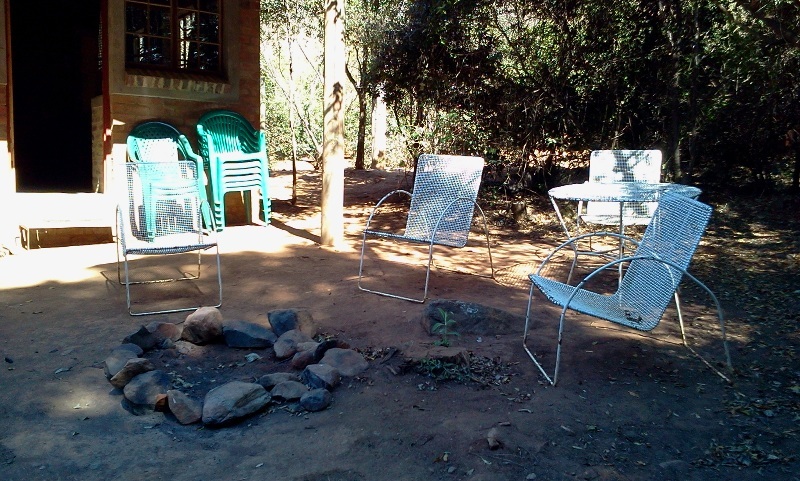 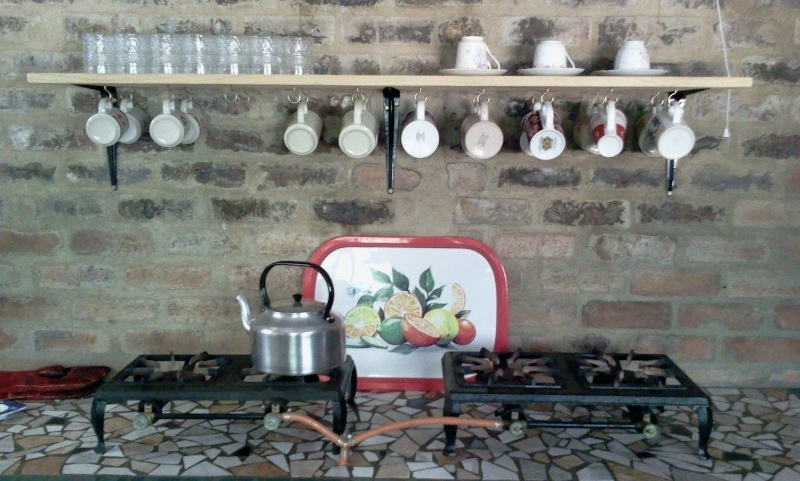 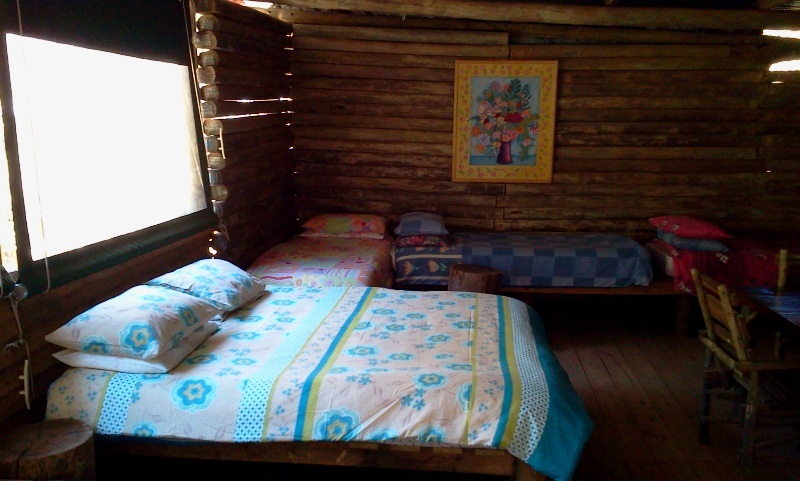 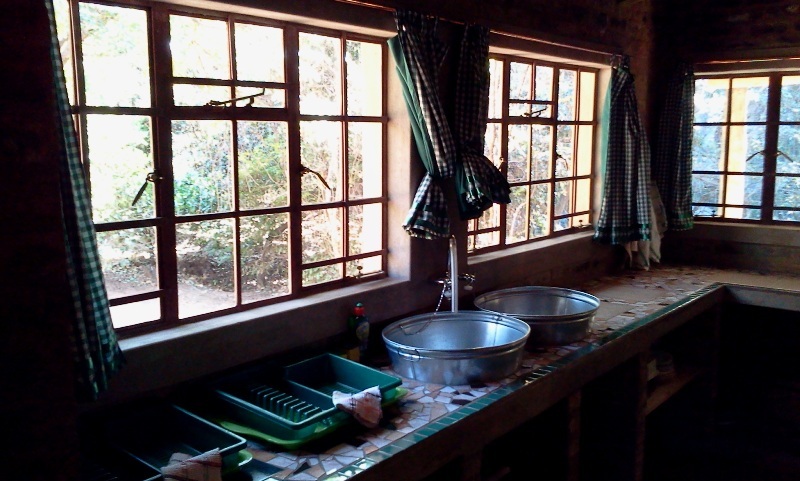 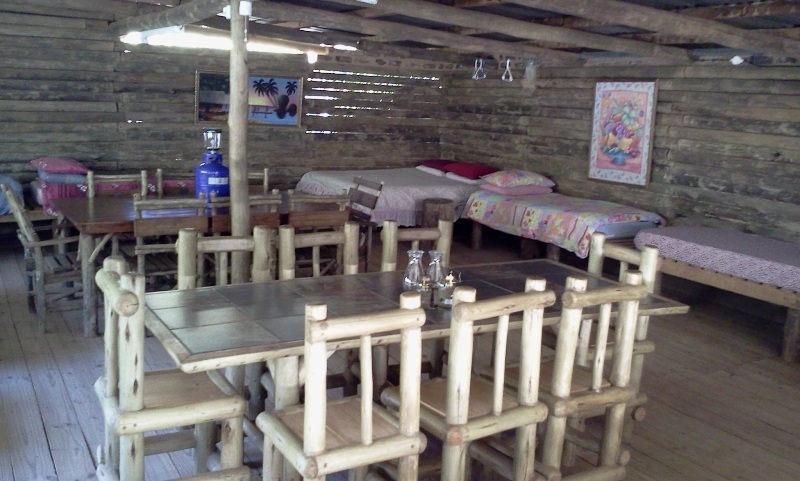 The ‘open plan’, loft style, sleeping room (12m x 8m) has an indoor fireplace which serves as the “donkey” for warm water for the two showers and dishwashing water, and ‘braaing’ in case of rain. 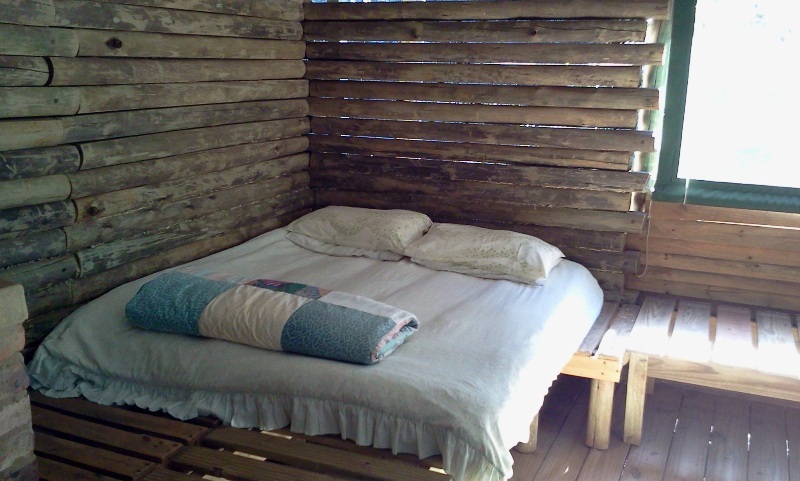 It also warms up the room during Winter! 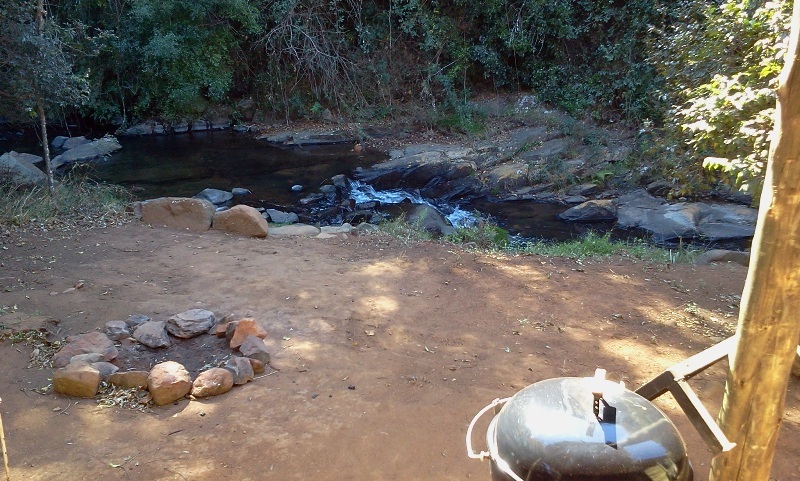 The outside braai is just temporary as we are planning to build proper outside ‘braai’ facilities alongside the Schoonspruit river. 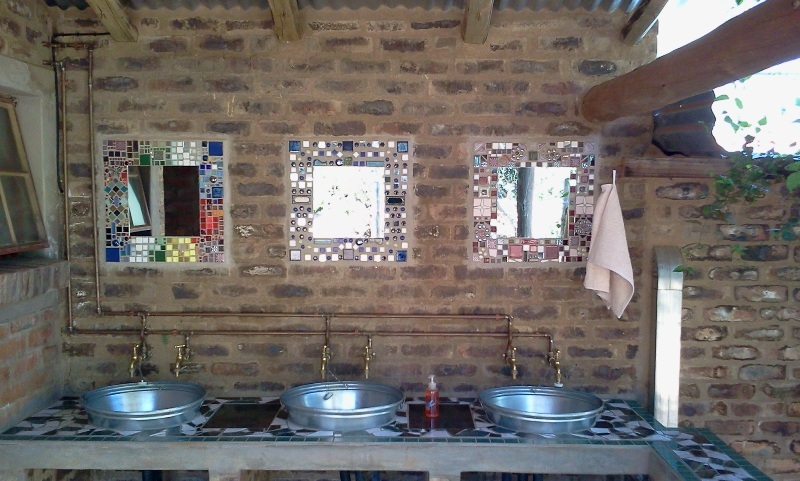 The flush toilets are 25m away at Kiepersol Kamp’s ablution.